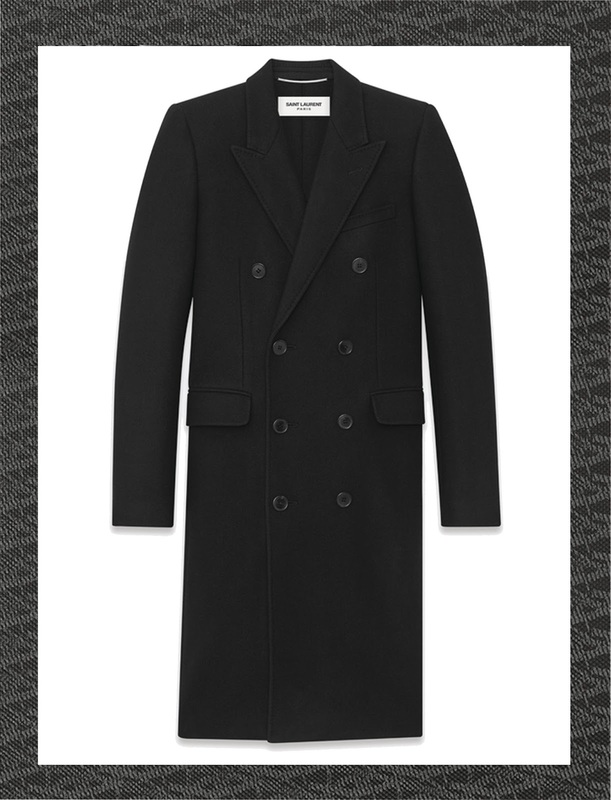 Saint Laurent under Hedi Slimane has become a power house in menswear and fashion. Simply, his ability to cast, create and inspire since his instalment at Saint Laurent has been just brilliant. As a blogger, I receive many a ‘…dressed by’ email however those from Saint Laurent are refreshing since they capture the zeitgeist of talent and cultural invigoration as with Jack Kilmer, above, who is also a current face of the labels campaign. 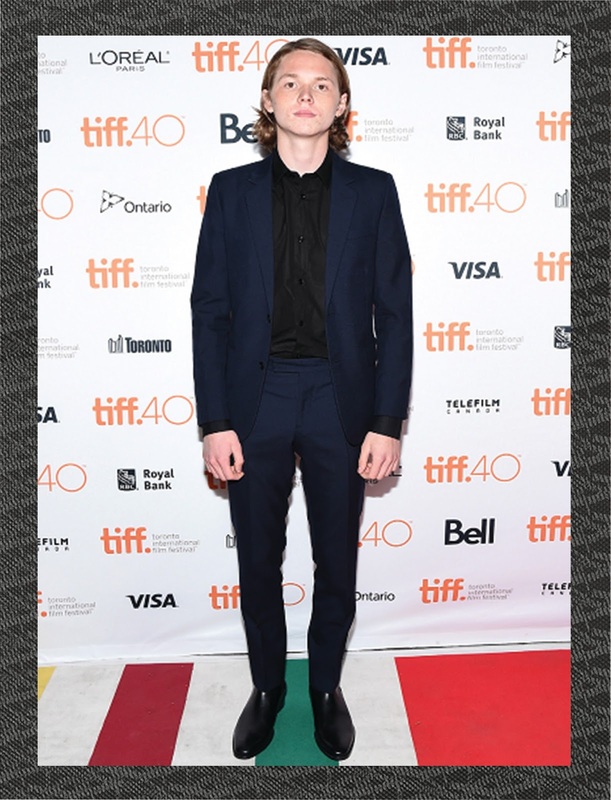 His suit, a Marine Gabardine paired with the black Dylan shirt and 30 Hedi boots, is sleek and a great alternative for the red carpet and an evening event. But as we really approach autumn – which is feeling like winter day by day – what coats or jackets from the Saint Laurent collection for AW15 would look great with this look? 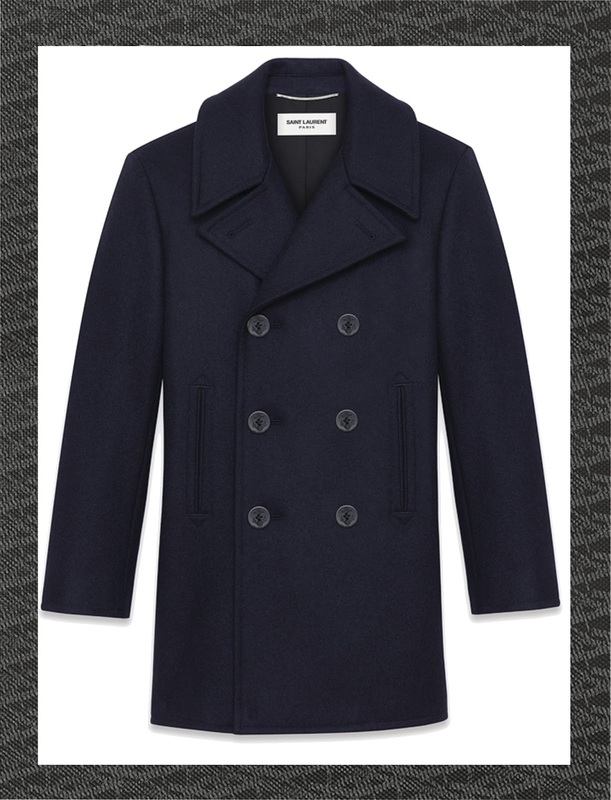 The Classic Cabin Marin peacoat that is slightly longer than traditionally worn; the anchor engraved buttons and slashed pockets give detail to a classic, double breasted profiled coat. 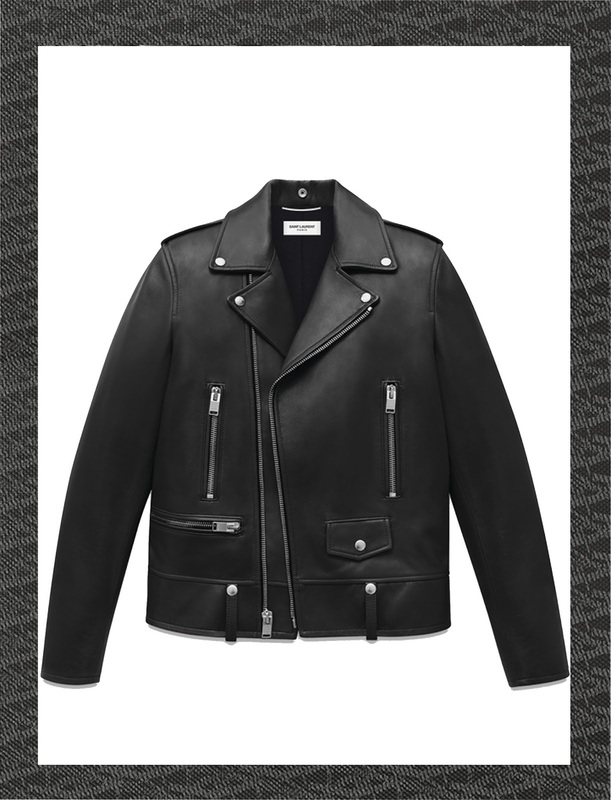 The Classic Saint Laurent Motorcycle jacket. Yes, with a suit. 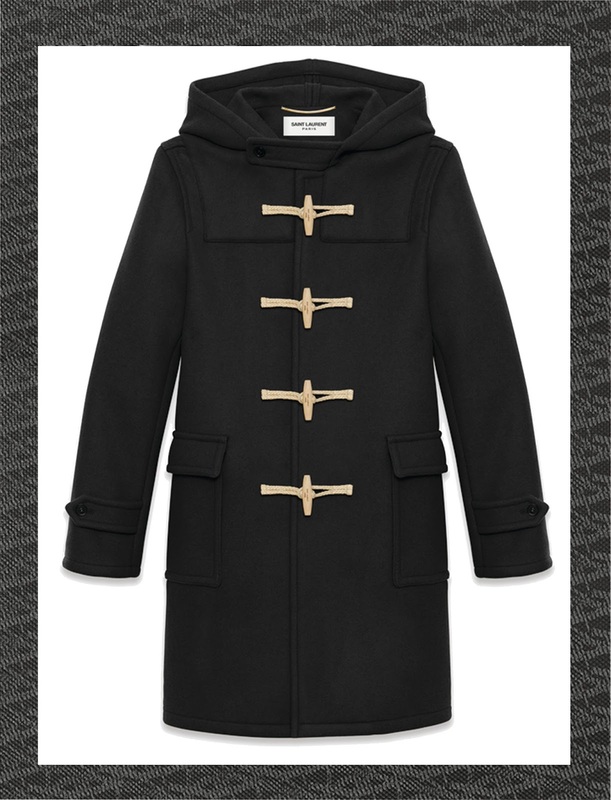 Wrapping up, toggling up…the Classic Duffle Coat with hood is given a slight military twist with the wrist cuffs yet remains true to the original, iconic idea. Eight buttons and a double-breasted sweep make the Alure black cashmere melange overcoat the perfect choice for an evening look can be dressed down for the day. Simply stunning. Finally, my favourite. 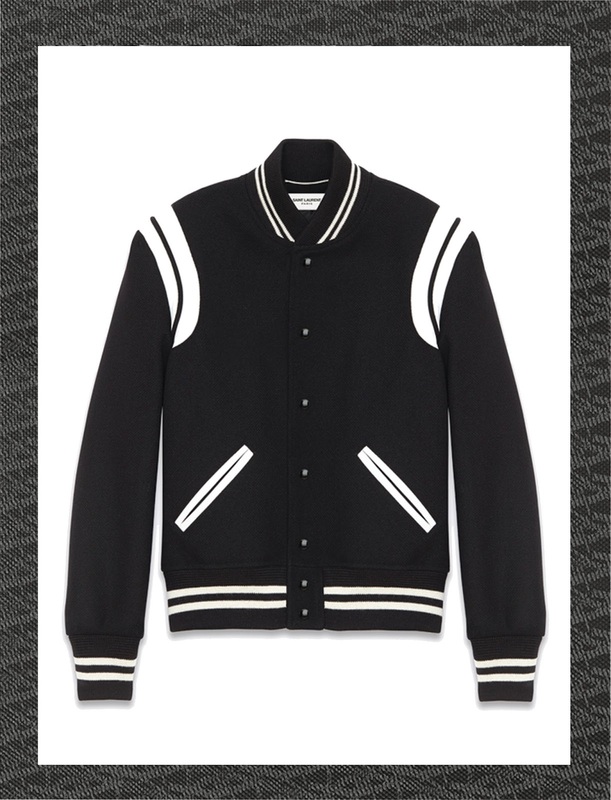 The Teddy jacket is the most desirable bomber jacket in the Saint Laurent collection, that has been seen on the backs of everyone from 1D to the Brant Brothers. A great contrast to a formal evening look.